Quantum dots have potential applications in fields as diverse as medicine, photovoltaics, and quantum computing. The Center for Applied Nanotechnology (CAN) in Hamburg are making great strides in making high quality quantum dots available for research and large-scale production. Quantum dots are nano-scale particles of semiconductor material, which are so small that quantum effects start to directly affect the particles’ electrical, optical and magnetic properties. This has many interesting implications on a larger scale – for example, fluorescent quantum dots can be designed which emit different colors depending only on their size. 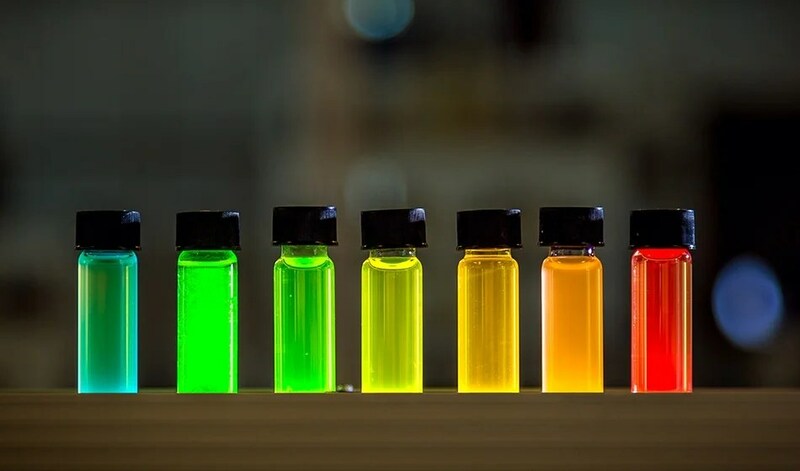 The properties of quantum dots have been investigated in labs to a fairly high degree, so current research is focusing on very challenging applications, or on bringing the technology into the commercial realm. 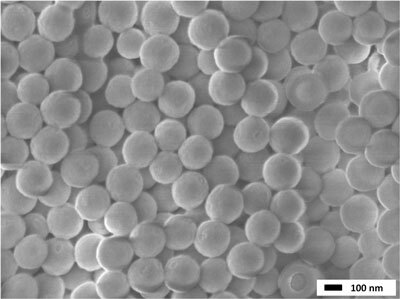 “Some of our nanoparticle products, including the new Series A nanoparticles with visible-range fluorescence, use our continuous-flow synthetic method. This replaces more conventional batch synthesis, and greatly improves the reproducibility of the product, as well as being much easier to scale to higher production volumes. CAN’s new product, Series A Plus, are fluorescent quantum dots made of CdSe, with applications in LEDs and solid state lighting, single particle spectroscopy and as markers for biological imaging. They were launched at the 2013 NSTI Nanotech Expo in Washington. The CANdots® range covers many more types of quantum dots and nanocrystals, including Series C NIR/IR emitters based on PbS, and Series X rare-earth doped quantum dots with distinctive emission features ideal for tagging and security labelling. CAN was founded in 2005 as a spin-out from the University of Hamburg, focused on the transfer of their expertise in the production of nanomaterials from research into industry. The center is working with an array of companies and universities to design and develop new nanotechnology products. CAN are currently seeking industrial partners to work on scale-up of their continuous flow nanoparticle production process, particularly for applications in photovoltaics, LEDs, and life sciences. This entry was posted in Nanotechnology, Renewable Energy and tagged Cadmium selenide, Light-emitting diode, Liquid crystal display, Mass production, Nano Batteries, Nano Medicine, Nano-Bio and Bio-Medicine, Nanotechnology, Quantum dot, Renewable Energy, Science, Semi-Conductors, Solar Cells, Solar Energy, University of Hamburg.